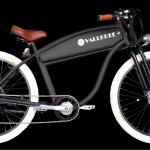 VALLKREE is an Australian owned company located in Byron Bay. 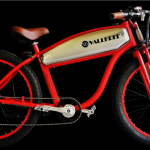 The artistic owners have been working on producing creative and inspiring bicycles in a beautiful vintage style. These bikes have now made their way into our shop and we’re happy to stock and support them. 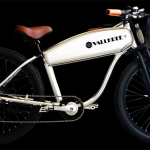 The bicycles come with a rear hub motor, SAMSUNG lithium ion batteries positioned within the frame and both pedal assist and throttle control. 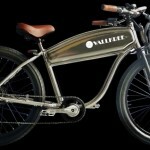 These are really eye catching electric bicycles and they’re both comfortable and practical to ride as well. Please come into our store to test ride one. They are available in black, chrome, army green and red. Please visit their website here for more information.